Expertly hand crafted from the finest of natural material this bed is a fantastic must have addition for your home. 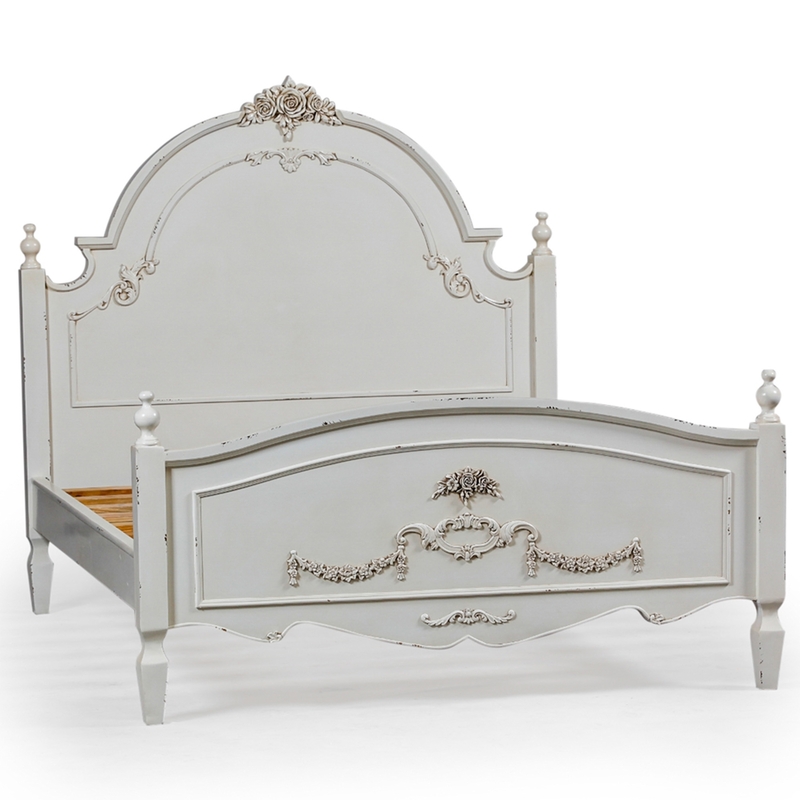 Beautifully crafted and finished in a smooth cream, this antique French style bed in kingsize is sure to impress across generations and brighten up any bedroom in your wonderful home today. Featuring a slatted base and ornate detailing on the headboard and football, this bed is a wonderful piece of French or Shabby chic furniture.